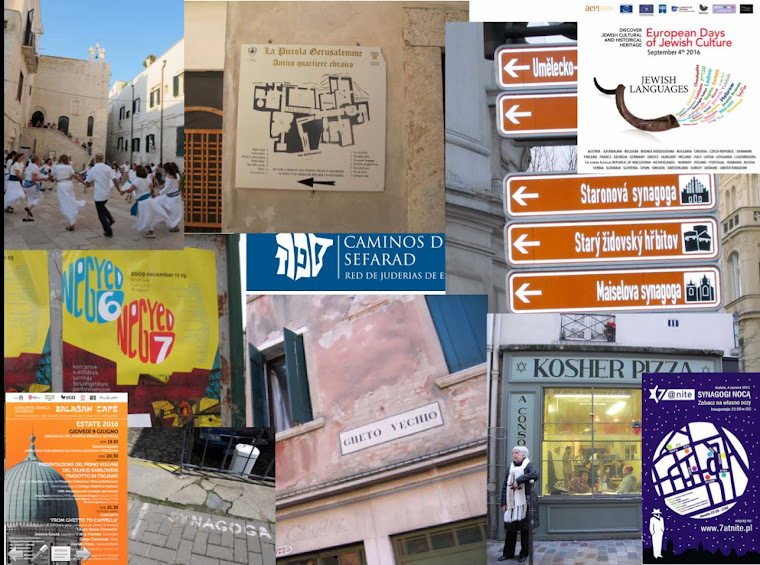 NOTE: This was originally published on the Jewish Heritage Europe web site, which is having bad server issues and may not be accessible. 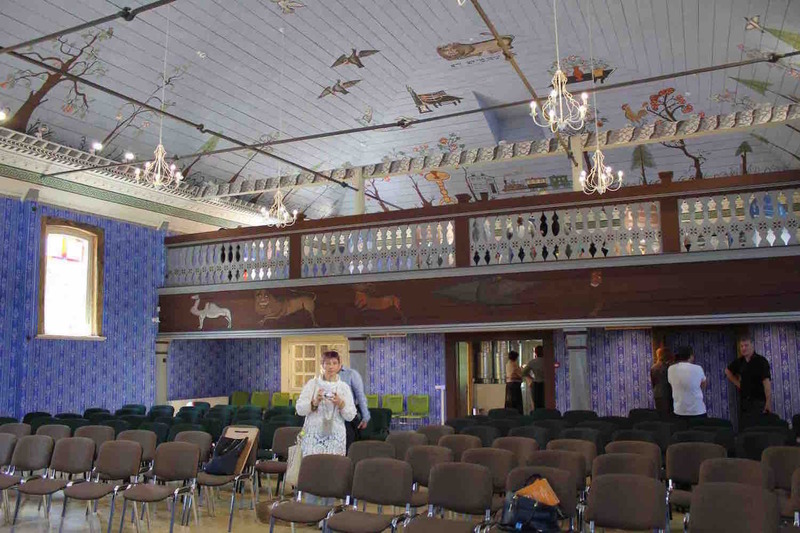 The historic wooden synagogue in Pakruojis, Lithuania has been reopened after a major restoration project that used old photos to recreate the whimsical polychrome images on its walls and vaulted ceiling. 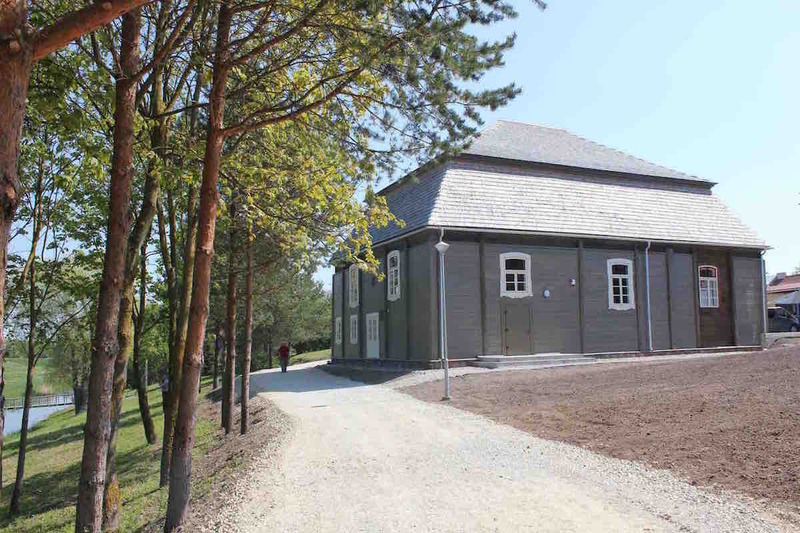 The building will house a children’s literature section of the Juozas Paukštelis Public Library and also host concerts and other cultural events. An exhibit tells the history of the Jews of the Pakruojis region. The more than €750,000 project was carried out over nearly three years by the Pakruojis Regional Administration, with more than €568,000 in financing from Iceland, Norway and Liechtenstein under the European Economic Area and Norway financial grants mechanism. 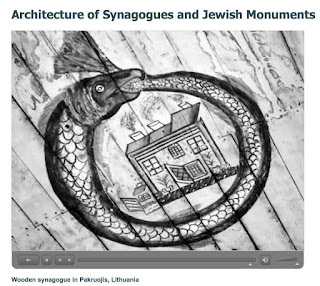 The opening ceremony May 19 was attended by Deputy Norwegian ambassador Turid Kristin Lilleng, deputy Israeli ambassador Efrat Hochstetler, and director of the Lithuanian Ministry of Culture’s EEA Financing Program Dalia Stabrauskaitė, as well as the head of the Lithuanian Jewish community and other representatives. 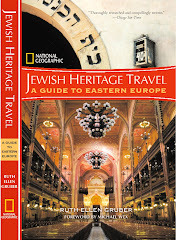 Built in 1801, the synagogue is the oldest surviving synagogue in Lithuania. 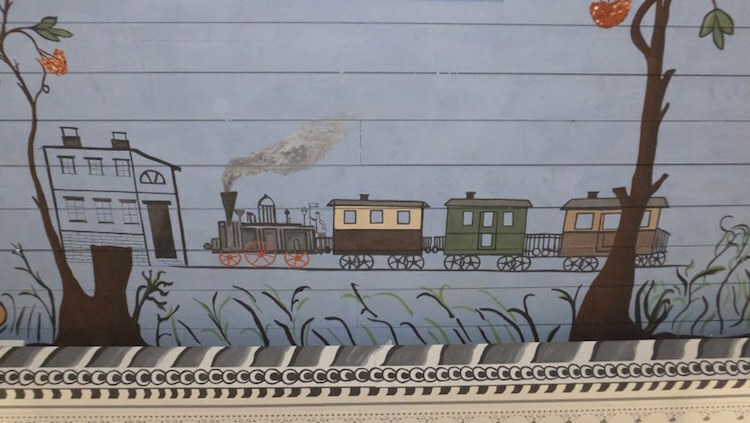 Pre-WW2 photographs document the interior — with a carved bimah (which was not restored) and wall paintings that include charming depictions of trees, plants, animals, houses and even a train. The building suffered severe damage in a fire in 2009. 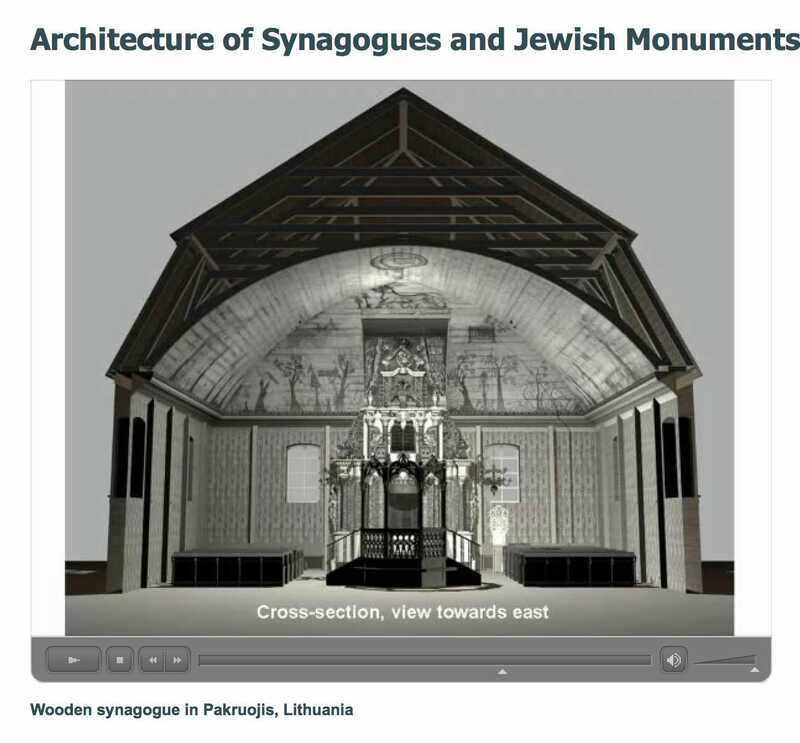 Some 200 or more elaborate wooden synagogues were found in eastern Europe before World War II. Almost all were destroyed. 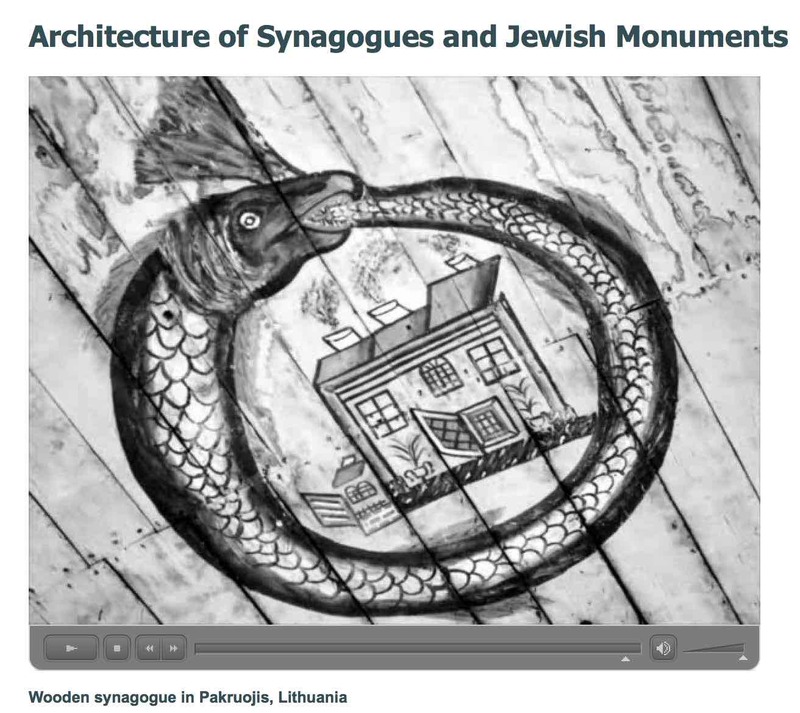 Lithuania is one of the few countries that still has wooden synagogues — about 14 altogether. 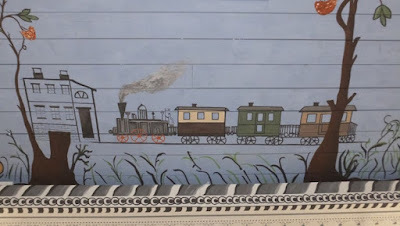 All of them, however, are fairly simple buildings that probably survived destruction because of their relatively nondescript appearance. 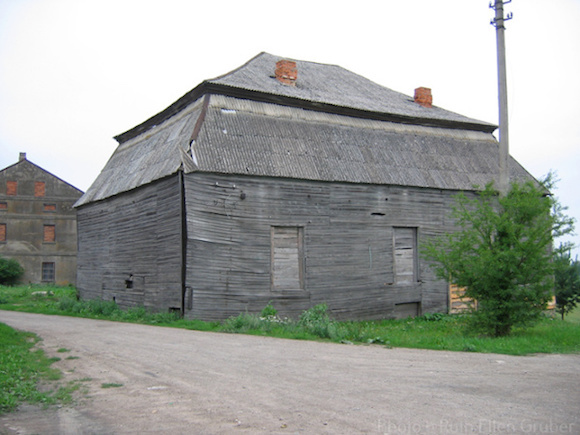 After World War II the Pakruojis synagogue was transformed into a movie house; it was also used as a sports hall, and then eventually abandoned. The Center for Jewish Art at Hebrew University in Jerusalem created an excellent digital presentation about the synagogue that illustrates the history of the synagogue and the Jewish presence in the town — noting that there were once three synagogues in Pakruojis. 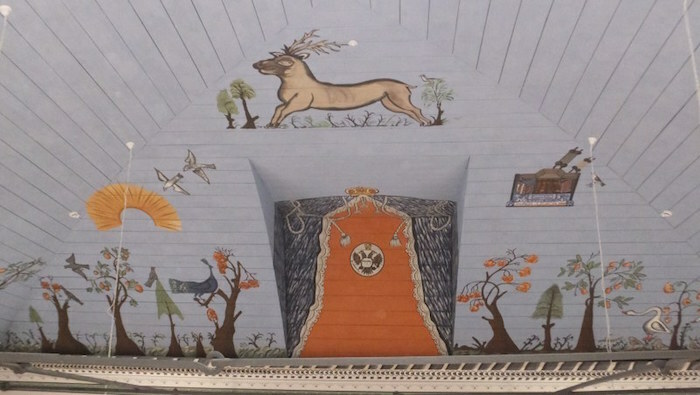 It includes a digital recreation of the building, inside and out, showing the architectural and artistic features. 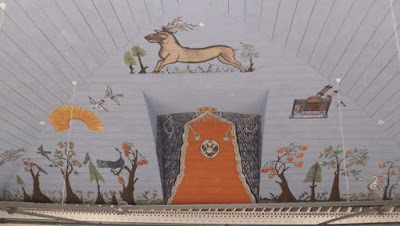 It also includes the striking photo documentation of the synagogue made in 1938, showing the painted decoration on the ceiling and the carved ark and bimah, that was used by the restorers to recreated the ceiling paintings and even the wallpaper.